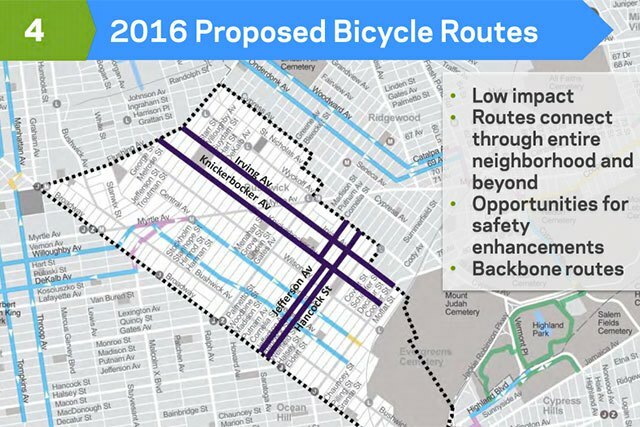 Behold: the final proposal for implementation phase one of Bushwick's new bike lanes! More than a year ago, the Department of Transportation launched an extensive community-driven bike lane planning initiative in Bushwick. DOT workers talked to as many cyclists as they could, including the crews of every local bike shop and the Puerto Rico Schwinn Club, which has been biking Bushwick since the 70's. 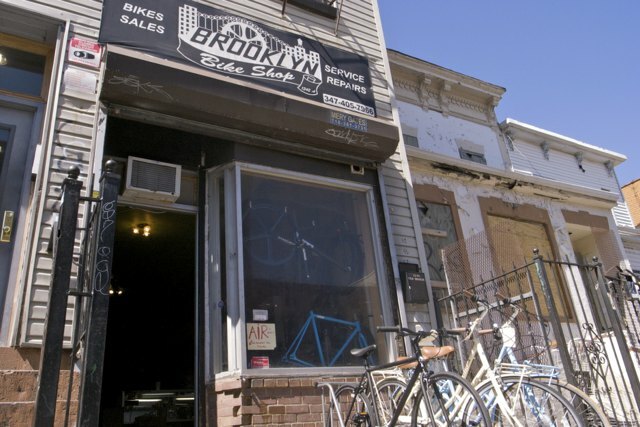 Many Bushwick cyclists filled out a survey about cycling routes online, and widely publicized workshops were held to get input from community board members and other residents, both cyclists and non-cyclists. Then, the DOT identified the most widely desired and most needed bike routes, cross-referenced those routes against the constraints of Bushwick's other transit logistics and came up with a set of bike paths that they presented to the public last week at Bushwick's Community Board 4. Rendering courtesy of the DOT. The routes give cyclists safe access to the commercial corridor along Knickerbocker and would minimally impact existing traffic flow without taking away any existing parking. At CB4, the proposal was met with a plethora of concerns from board members, but was not brought to a final vote as the board lost its quorum when a board member departed before the vote could take place. The board will vote on the proposal at its public meeting next month on Wednesday, March 16th. Plan your spring tuneups accordingly.